Vadcon also offers other HD15 products - HD15 Wall Plates, HD15 Face Plates, HD15 Cables and much more! Hole size used in these panels? Hole size is DB9/HD15 - Connectors could be removed and replaced with any connector that fits the DB9/HD15 hole. In Stock? Production Time? 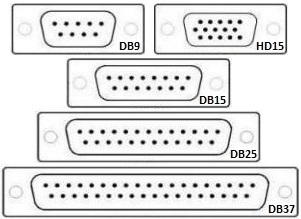 HD15 Patch Panels are generally in stock and ready to ship, but inventory does change daily.